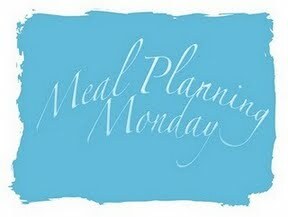 It's Monday, so its Meal Planning Monday with at Home with Mrs M. My homage to being organised and my one stop shop to staying on track with Slimming World, because planning is the key to success! No shopping list for me this week, because its all about the freezer! I have a chest freezer which lives in the shed in the garden. It's a horrible place just recently because my son is in charge of keeping it tidy (whoever thought that would be a good idea should be shot) and you can't actually step inside any more. It's not pleasant leaning over all the crap to get it open and then peer inside with the rain coming down. However the freezer is full to capacity, so thought I should at least take a look and see what meals I could plan out of it. Suffice it to say, I have all of this weeks, and probably most of next! Not bad! And on the weight loss front I managed to lose 1lb from last's weeks menu. It's slowing down, but all I need is a steady 4 lbs a month to reach my target this year. There's mine, if you'd like to see more, get yourself over to At Home with Mrs M for more meal planners! There's no doubt that that you need to write more about this topic, it may not be a taboo matter but typically people don't speak about such subjects. It is perfect time to make some plans for the longer term and it's time to be happy. I have read this put up and if I may I want to recommend you some fascinating issues or suggestions. Maybe you can write next articles relating to this article. I wish to learn even more issues approximately it! and include approximately all vital infos. I would like to peer extra posts like this . world of cell phones is speckled with a wide-range of models.